What do Justice Ginsburg, Donald Trump and Catholic school boys have in common? Answer: They have all been disserved by irresponsible – and even reckless – media reporting. The first was an embarrassing accident by FOX News. They put up a graphic that suggested the demise of ailing Supreme Court Justice Ruth Bader Ginsburg. It was one of those screens that show the image of a person, their name and TWO dates – in this case “1933 – 2019.”: It is the iconic television graphic associated with the death of a prominent person. The existence of the graphic should come as no surprise. Media outlets – both print and electronic – have “canned” obituaries for virtually every major personality – especially those of advanced ages. However, this blunder pales compared to the following examples of malicious media mischief. The report involving President Trump was not so funny – nor accidental. A bogus article in BuzzFeed claimed that not only would former Trump lawyer Michael Cohen be testifying that the President ordered him to lie to Congress about the status of Trump Organization discussions about a project in Moscow, but the report claimed that Special Counsel Robert Mueller had corroboration in the form of emails, text messages, testimony of others and tons of documents. Even though no other news service – with all their resources – could confirm the story, they made it the lead for the next 24 hours. It was deemed to be conclusive proof of obstruction of justice by suborning perjury. It was clearly impeachable, they opined – and the calls for impeachment rose from the Democrat side of Congress. The report was so bad that Mueller had to issue an extraordinary statement that the report in totality was inaccurate … untrue … fake news. Even with that, many Trump-hating analysts persisted in claiming the BuzzFeed report could be Accurate. In one of the most vicious – and yet successful – examples of left-wing media propaganda was the attack on the students from Covington Catholic High School attending a pro-life rally. 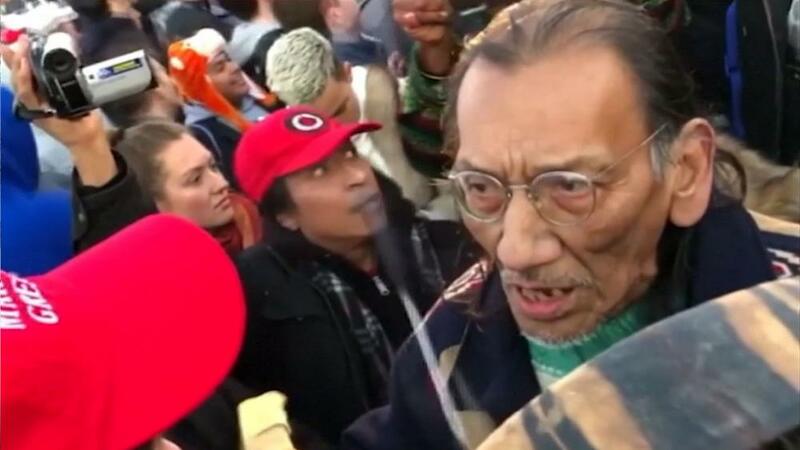 Initial reports used an EDITED video to make it appear that the students were badgering an older Native American man, Nathan Phillips. The #NeverTrump press then called on their sycophantic panels to pile on. It was a natural confrontation for the biased media to spin. On one side you had mostly white Christian students from a southern state protesting against abortion with some wearing the Trump MAGA hats. On the other side, you had one of the left’s premier protected classes, an older Native American. This was a situation ripe for the left-wing propagandists – and they played it for maximum value, making it a lead story hour after hour. The distorted excessive and hyperbolic coverage then spread through social media in nanoseconds – resulting in an outpouring of vulgar and hateful threats against the targeted students. Fortunately, America still has enough independent and ethical journalism and the truth did surface. Contrary to the narrative of the anti-Trump press, it was the Catholic students who were confronted by the drum-beating Indian activist. In addition, a contingent from Black Hebrew Israelites had been yelling at both the Catholic students and Phillips – something that was omitted from the edited broadcast version. The provoked hatred against these students – not unlike the Nazi press attacks on Jews before World War II – resulted in a flood of death threats against individual students and their families, and threats of arson and mass shooting against the school population. And all because the elitist media has intentionally, willfully and happily spread vicious propaganda. There is a reason why most Americans do not trust the major news media. In fact, most polls show the public trust level to be below that of Trump and of Congress. The New York Times, CNN, MSNBC are running advertising trying to sell themselves as the purveyors of “truth.” Of course, they would not have to try to convince the public if they were really telling the truth.